Explanation: You can help map the Moon. Early tomorrow morning (Saturday, September 12) the Moon will occult, or pass in front of, the bright star Aldebaran as viewed from some Southern and Eastern areas of the U.S. as well as regions in the Caribbean Sea, Nova Scotia, Newfoundland, Mexico, and Central America. Aldebaran will disappear behind the bright edge of the third quarter moon and reappear behind the darkened edge. 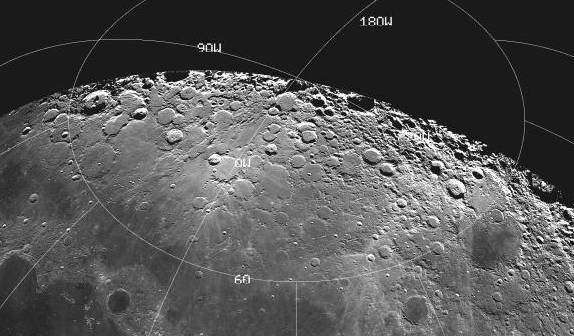 Accurately timed home video camera recordings from different locations can be used to make improved maps of the height of the lunar terrain at these occultation points. Interested? Follow the instructions on the International Occultation Timing Association HomePage which detail how to tape a familiar TV channel, take your running camcorder outside to record the occultation, and then return to tape a few more minutes of the TV channel. (First, determine if the occultation will be visible from your location!) You can then donate your tape by mailing it to the address given. Leave yourself plenty of time for a practice run and be sure to check the weather before going to a lot of trouble! 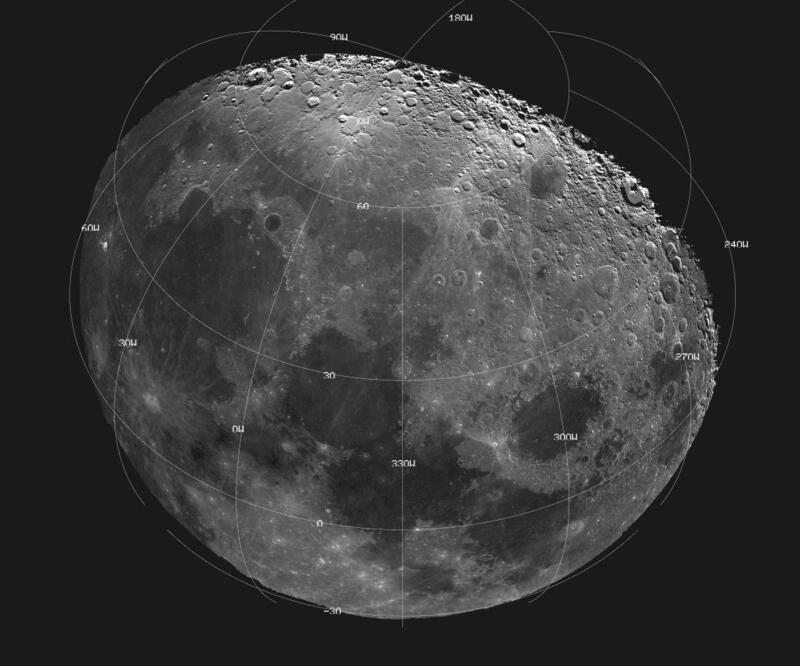 This mosaic mapping the North polar region of the lunar surface was constructed from images recorded by the Galileo spacecraft in 1992.